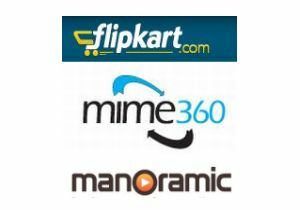 Flipkart Online Services Pvt Ltd, which runs the e-commerce site Flipkart.com, has acquired Mallers Inc (Mime360), a company that is registered in US and Mumbai, in a cash and stock deal. Details of the deal size and valuation were not available. This is the second acquisition by Flipkart in less than a year. In December 2010, it acquired social book discovery tool WeRead from Lulu, a US-based on-demand publishing firm. Flipkart planned to use the recommendation engine behind WeRead to to make informed decisions based on recommendations from people within their social network. Flipkart is one of the fastest growing e-commerce sites in India and sells books, handsets, consumer electronics, movies etc. As of June, 2011, Flipkart had 1,500 employees on board and offices in Bangalore, Mumbai, Delhi, Chennai and Kolkata. Backed by heavy investments from New York-based Tiger Global Management LLC and Accel Partners, the company has been looking to acquire firms to complement its current service offerings. Mallers Inc's flagship is a B2B platform called mime360 (Manoramic International Media Exchange), targeted at the music industry. Mime360 is an online digital media exchange platform that connects content owners such as artists and musicians with content publishers. It resolves common issues such as piracy, varied pricing and revenue collection for the users and has a revenue share and licensing based business model. Besides the domestic market, mime360 currently reaches out to markets for Indian media content such as US, UK, Middle East, APAC, S.E. Asia and Africa. Its clients include Gaana.com (by Times Internet), Myusic and iMusti. Confirming the acquisition to Techcircle.in, Mallers Inc chairman and CEO Sameer Nigam said that mime360 will continue to remain an independent platform. On the reason behind the acquisition, Nigam said, "Flipkart wanted to build out its B2C story. It is already selling music CDs and DVDs on the site and now we will build out its digital media store." One of the founders - Rahul Chari â€“ along with the core engineering team of 6-7 people will move to Bangalore, where Flipkart is based. The current CEO Nigam, along with the business development and operations teams will continue to be in Mumbai. Nigam will report into Binny Bansal, co-founder and COO, Flipkart.com. Founded in 2009, Mallers Inc had set up an online, B2C music store called Manoramic.com. It was to be an online destination where users could stream and legally download Indian music, videos and movies. But the site was shut down in 2010 due to scale-up issues. "There was a challenge of distribution. There were larger companies that also had music stores and they had the inherent advantage of a larger audience. As a start-up, we felt more comfortable with technology, and we decided to build a platform for the entire music industry," said Nigam. The team from Mallers Inc will now get a second chance at rebuilding a digital music store on Flipkart.com. The store will be hosted on the Flipkart site and will be launched in the next few quarters, said Nigam. Medianama first reported the story.